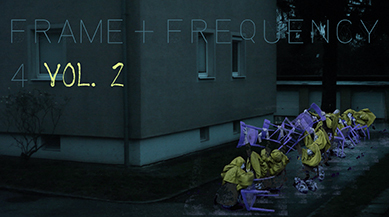 Frame & Frequency 4 Vol. 2 is an ongoing International Video and Sound Art Exchange program presented concurrently at VisArts in our In(Site) Project Gallery in Rockville, MD and at PLECTO Galeria in Medellín, Colombia, opening October 26, 2018. In(Site) Project at VisArts places contemporary art in non-traditional exhibition spaces. VisArts encourages active looking, deep listening, sociability, interaction, and encounters with art in architectural spaces often considered “pass throughs” (hallways, atriums, lobbies, and windows). In(Site) Project features artists working in a variety of media.